LEV Testing is required by the HSE.. Contact us if you have not had your extractor tested. KNOW YOU RESPONSIBILITIES ! Use this link..
Respirable Crystalline Silica (RCS). is to be avoided at all costs. One of the reasons why the Sigma air banker is so successful. 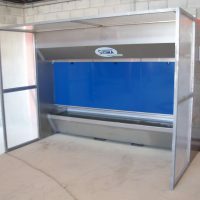 The air banker dust extraction system manufactured by Sigma Group addresses the needs of equipment required in a stone masons workshop. 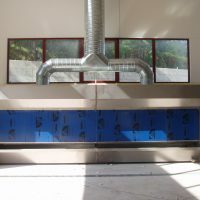 The banker is a wet extraction method, involving a three stage filtering process. The dust is drawn into the banker through a fine mist of water. 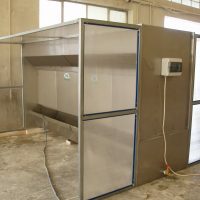 This ensures that most of the dust particulates are "dropped" into the water reservoir. The air is then sent through a set of wet filters, where further cleaning takes place. Finally, the air passes through a set of dry filters before going to atmosphere. There are a number of advantages to the Sigma air banker design. Maintenance of any type of air banker is essential in order to ensure it remains effective. The wet filters in the Sigma air banker are of a cassette design, allowing easy removal for cleaning. The filters are easily cleaned, simple washing with clean running water brings the filters back to efficient working condition. 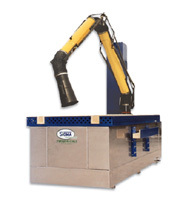 The water jets are designed to be removed and cleaned, no tools are required for this process. 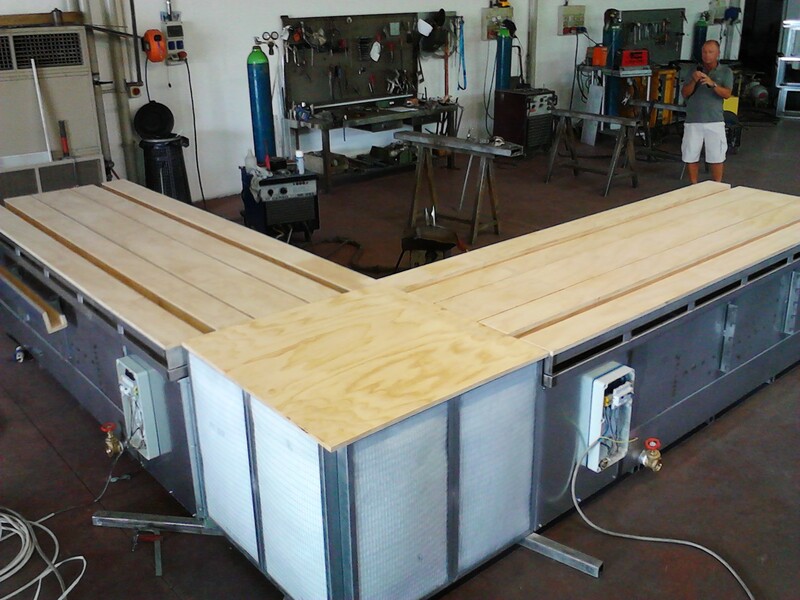 The alternative dry cartridge filtering systems pose a hazard during maintenance, as the filters and dry dust contained in the bench have to be handled during maintenance. The dry filter cartridges have a limited life, increasing the running costs! 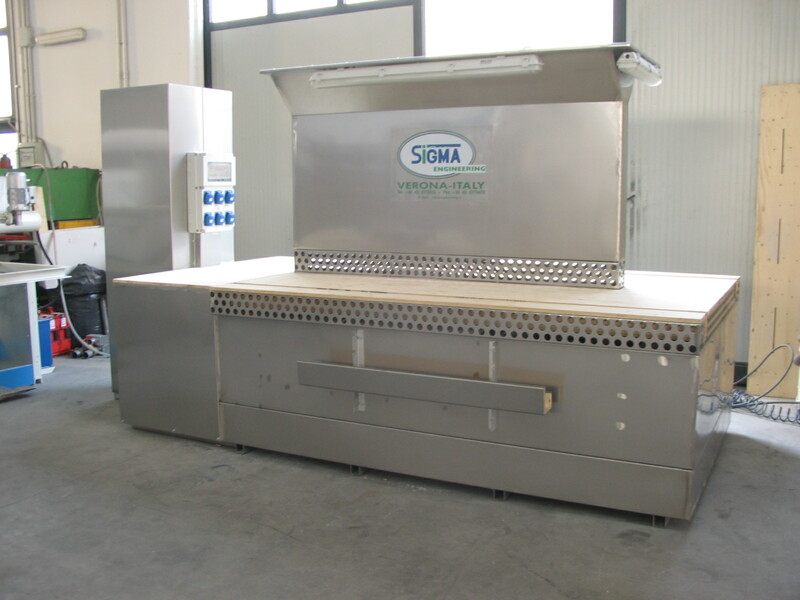 Exposure to dust is to be avoided whenever possible, that is why Sigma Group have developed the wet extraction air banker. INFORMATION: An employer who uses local exhaust ventilation (LEV) to control any dust, fume or vapour etc. 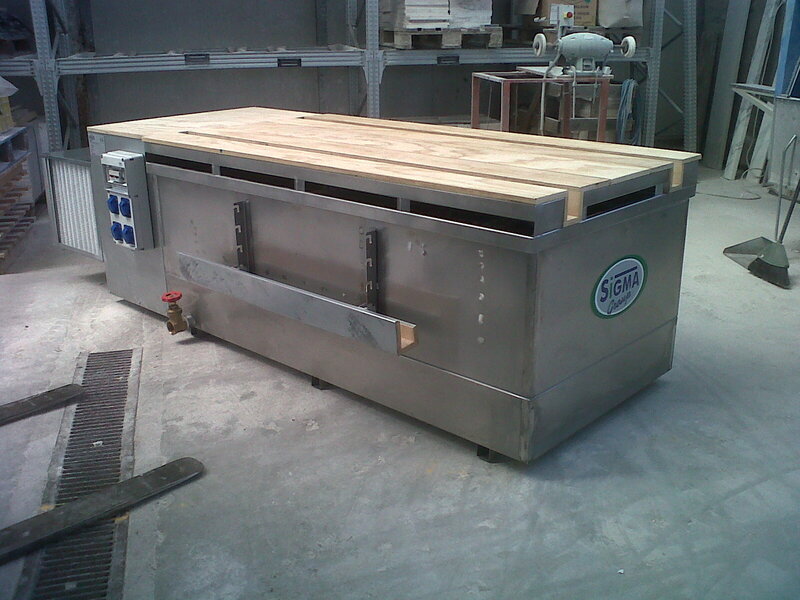 It is a legal requirement to ensure that it is operating effectively and is in good repair. It is your legal obligation to ensure a formal examination and test of the LEV system is carried out. LEV testing must be carried out at least once every 14 months.